MGR is a California Corporation licensed by the California Bureau of Real Estate offering traditional real estate services and private money financing & investment opportunities. 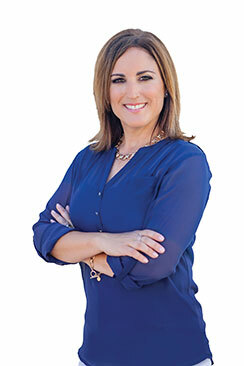 Victoria Relva, the Founder and President of MGR, is a California licensed Real Estate Broker having an extensive background in real estate – from representing traditional residential sales, affordable housing development, agency, brokerage, and investments. Victoria has demonstrated outstanding performance throughout her career, having weathered varying business and real estate cycles. MGR specializes in residential real estate sales throughout San Luis Obispo County. You can count on us to always think outside the box, to make the transaction as easy and seamless as possible, and to remain intimately involved in your purchase or sale until keys change hands. If you are looking to purchase or sell in a perfect place…MGR is your Central Coast brokerage of choice! MGR’s also specializes in private lending where customers range from bankers and brokers who refer their clients or private parties looking for alternative real estate investments. Victoria is the agent for both the investors and borrowers in arranging financing for various real estate transactions, including single family residences, subdivisions, land, commercial properties as well as construction/land development. Victoria prides herself on putting together a strong team of professionals and agencies to ensure each transaction is handled properly and efficiently. Most transactions involve professionals who Victoria has been working with for many years and who have many years of experience related to escrow/title, fund control, real estate law and compliance. Victoria has earned the distinction as a trusted and respected Broker where investors can rely upon the professional interpretation of variables, risk analysis and projections to ensure their investment needs are met and best practices are in place. Quality over quantity is the most important aspect of this business. Keeping abreast of the latest laws and working in unison with true professionals who provide a service in each transaction keeps the quality quotient very high.